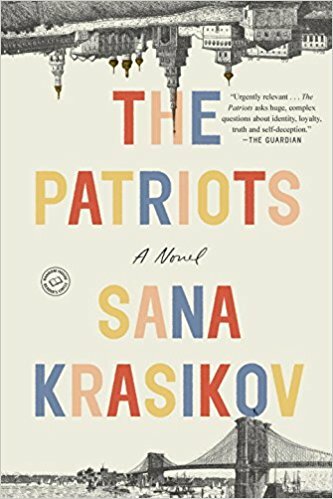 Sana Krasikov is the author of the novel The Patriots, which focuses on a family with ties to both Russia and the United States. She also has written the story collection One More Year, and her work has appeared in a variety of publications, including The New Yorker and The Atlantic. Q: How did you come up with the idea for The Patriots, and for the family you describe in the book? For many foreigners, Moscow seemed liberated and avant-garde and economically vigorous in ways that America no longer was. Much of that was, of course, a PR illusion. Tim, our friend, spent a chunk of his childhood in state orphanages, before being reunited with his mom when she returned from the Gulag (his dad, also an American, perished in prison). The first thing Tim recalled about the reunion was realizing that his mother spoke with a heavy American accent. That story became the first scene in the book. The modern-day storylines (set in 2008) came from my own experiences living in Moscow. But I became obsessed with this woman, because her story was the complete inversion of my own – turning her back on America instead of arriving as I did, to embrace the American dream. As I wrote, she began to emerge as this appealingly compromised figure. From chapter to chapter I wanted the reader to be left wondering who she really is: an ambitious idealist trying to preserve her humanity under impossible circumstances, or a self-deluding collaborator capable of betraying the trust of those who cared about her? I wanted to show the Stalinist world though an American’s perspective: how was this Brooklyn girl going to navigate a world of propaganda, fake news, and political correctness gone awry? Q: The story is told from the perspectives of various characters, and jumps from one time period to another. Did you write the chapters in the order in which they appear, or did you move things around as you wrote? A: I actually wrote it in a more chronological order, with Florence’s story starting in Brooklyn College and then us following her to Cleveland where she falls in love with Sergey, who lures her to Moscow. But a friend read the manuscript and suggested I start Florence’s story right aboard the ship heading to Russia, then looping around so we could understand what brought her there. 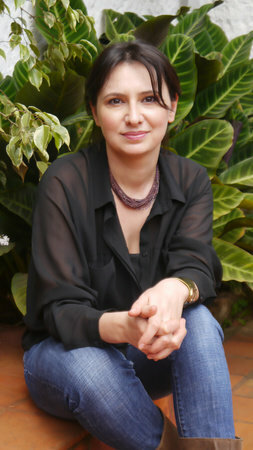 In the initial version, her son Julian narrated much more of her story. But as I entered her world I became bolder about using the omniscient voice – which felt to me more appropriate. It allowed me to pull back the curtain to show the bigger forces coming into play in people’s lives. It’s impossible to know how to tell the story until you’re telling it. Q: In a New York Times review back in January, Nathaniel Rich wrote, "Novelists choose the period they write about, but they can’t choose the period in which they’re read. 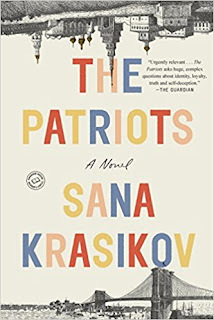 Sana Krasikov’s debut novel was composed in the previous era, but its official publication coincides with the presidential inauguration...Krasikov had no way of knowing that her novel would be published just as America is witnessing the ascension of a ruler who calls for jailing his opponents, proposes to weaken the First Amendment and uncritically quotes Russian propaganda. But this turn of events gives urgency to her main theme — the insidious influence of totalitarianism on the lives of those trapped under its boot." What do you think your novel says about the complicated dynamics between the United States and Russia? 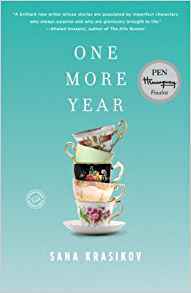 A: A number of reviewers noted that the book’s themes felt almost eerily relevant to our time, and that wasn’t entirely accidental. It’s true I couldn't predict Trump’s rise, or Russia’s involvement in our election system, but while writing the book I did feel I was writing into a stark political divide that was heading toward some kind of collision. So many of the social “isms” we see today -- class tension, race anxiety, populist rhetoric, political polarization -- were flourishing during “the crisis of capitalism” of the 1930s. By setting the drama in this period, I wanted to offer the reader new perspectives on contemporary problems. Like when Florence is working at a university where those who have “regressive” political beliefs are cornered into displays of self-correction and public apology. It seemed to echo debates we’re having now in America about how far universities should go to protect politically unpopular speech, and how far students should be able to lay professors low for their political errors. And yes, our old rival is once again at our doorstep. But something else is happening, too. With the initial bromance between Trump and Putin and an ongoing investigation into the entanglement between the Kremlin and Trump’s staff, we are witnessing another side of our ancient relationship: collusion under the cover of enmity. In the 1930s, the American press was laying a drumbeat against the “Red Menace,” even as American industrialists (and politicians) struck million-dollar deals with the Bolsheviks, who were eager to industrialize Russia along American lines. Whole districts of Moscow were built with American steel and American know-how. This business relationship between public rivals forms the backdrop for Florence’s story: she first goes to the Soviet Union because of her encounter with a Russian engineer who has come on one of these industrialization contracts. But as the collusion deepens, so will its consequences for Florence’s future. Franklin Delano Roosevelt’s admiration for Joseph Stalin extended to the point that FDR purged his circle of advisors of Russia-critics and appointed an obliging ambassador — Joseph Davies — to man the embassy in Moscow. Davies and his wife, Marjorie Merriweather Post, heir to a cereal box fortune, said of Stalin’s show trials that they were “mostly just,” and even screened the latest American films for the secret police in the embassy’s private theater. Florence’s discovery of this complicity forms a deepening level of intrigue in the plot. When Florence bangs on the gates of the American embassy, shouting, “I’m an American citizen!” the gates remain closed. Like hundreds of Americans, she’s left behind to fend for herself. But unlike others sacrificed on the altar of political ends, she’s a survivor who lives to tell the tale. A: Richard Yates, Alice Munro, Lev Tolstoy, Vasily Grossman, Pelevin, Susan Orlean, Michael Pollan – I probably read as much non-fiction as fiction. E.L. Doctorow’s work – his way of integrating history with fiction – had a big impact on The Patriots. Right now I’m reading David Means’ stories, and Ottessa Moshfegh, and Akhil Sharma. A: A new novel, which also has an historic element, but more recent – taking a look at the political transition from the Carter to the Reagan eras. It also involves a 40-year-old grandmother who goes through a second adolescence. A: Yes! My husband, Gregory Warner, just wrapped up a new podcast called “Rough Translation,” about those awkward moments we face when we find ourselves between cultures. It’s part of NPR’s podcast family. I helped work on some of the episodes, which I think give listeners that soul satisfaction of reading a really good short story. Listening is the new reading, or so I hear. --Interview with Deborah Kalb. Sana Krasikov will be participating in the Lessans Family Literary Series at the Bender JCC of Greater Washington on November 5.